Add the finishing touches to your living room design with this beautiful American-made set. 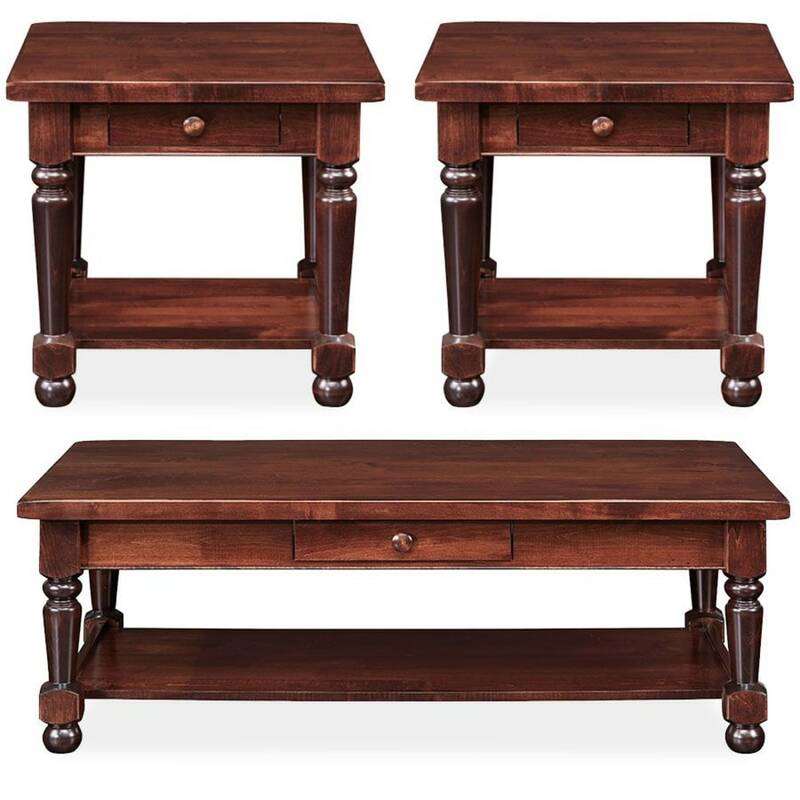 Featuring a coffee table and two matching end tables, this living room set will help you create a cohesive traditional style for your space. Made from 100% solid wood, this table set is designed to stay sturdy and stylish. Skilled artisans carefully crafted each table to ensure quality results. This living room set includes one coffee table and two end tables 2W x 26L x 25H. Made in America, using real, 100% solid brown maple wood, this set is designed for durability. A flawless tobacco finish adds a warm tone to this furniture. Each table has a drawer and lower shelf to store your remotes or magazines. Traditional styling provides a timeless appearance. Sophisticated styles can be practical, too. This elegant table set comes with ample storage space to keep your living room organized and clutter-free. Style your living room in traditional elegance. This living room set can be yours TODAY, thanks to Gallery Furniture's same-day delivery.